A Russian government delegation headed by Prime Minister Vladimir Putin has held talks in Brussels with top European Union officials on energy, economic co-operation and Russia’s possible accession to the WTO. Among other issues the sides focused on was a new Russia-EU partnership agreement, support for modernizing the Russian economy, and the possibility of a visa-free regime between Russia and the EU. In the morning, Putin met with the president of the European Commission, Jose Manuel Barroso, and president of the European Council, Herman Van Rompuy. Later in the day, structured talks were held between the Russian government and the European Commission, and that was followed by bilateral meetings between Russian ministers and EU commissioners. After the official meetings, Barroso and Putin gave a joint media conference. 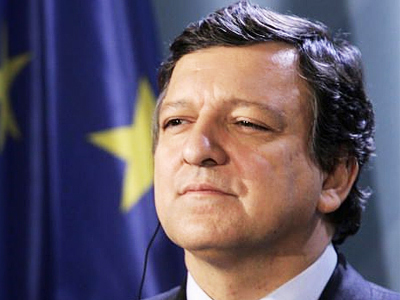 Barroso, in his opening speech commented on the wave of anti-government protests that swept across the Middle East and North Africa and condemned the violence in Libya. The EU commission head thanked the Russian premier for an open and frank conversation, including on “sensitive” topics such as the rule of law in Russia and the situation with the human rights. Barroso noted that he and Putin had a very in depth conversation on the matter and added that the EU expected Moscow to respect its international obligations on human rights. Rule of law is one of the key issues, especially when it comes to modernization, he said. Overall, he described Thursday’s meeting in Brussels as very constructive. The sides managed to talk about all the major areas of their co-operation including trade, investment, innovations and, of course, energy. Russian energy remains a key element that helps Europe to keep going as its industries “are very much dependent” on it, Barroso said. As for the visa-free regime that Russia has long been pushing for, since it would not only make people’s lives simpler, but also help to boost business ties, Barroso said he believes it would be possible to achieve progress on that issue. 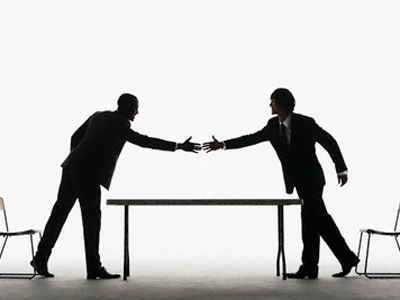 Moscow and Brussels share willingness to move forward together, he noted. The European official noted that despite having differences in the past, Moscow and Europe could always find a solution. 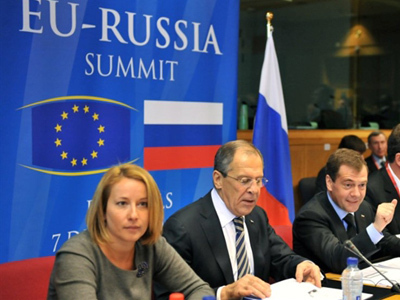 Barroso pointed out that such “deep” meetings reflect the importance of Russia-EU relations. Speaking at the news conference, Putin pointed to the major issues tackled during the talks with the European Commission President. He noted the common efforts and coordinated approach taken by Russia and the EU, which helped both sides weather the economic crisis and its consequences. As for the subject of energy, which has long been one of the most important and controversial in the relations between Russia and the EU, Putin said that Moscow is ready to do everything to secure energy supplies to Europe without any disruptions. He also said that they are now working on an early warning system for energy supplies. He then turned to overall economic partnership between Moscow and Europe, reminding that Russia is the EU’s third largest partner after the US and China. He said that in the recent year trade turnover between Russia and the European Union has risen by 30 per cent reaching 300 billion dollars. 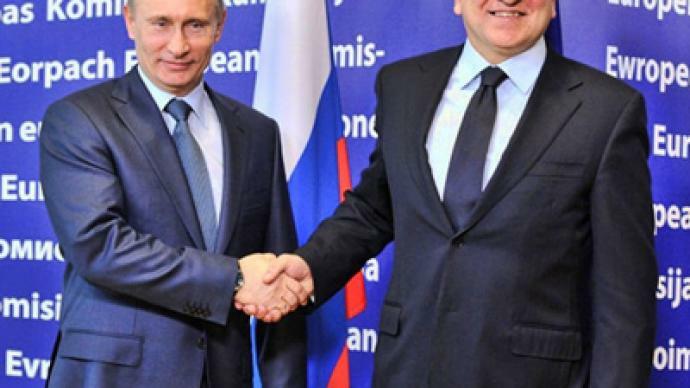 In this regard, he stressed that Russia’s accession to the WTO is beneficial for both sides. The prime minister noted that twelve rounds of talks have been held so far. “We have undertaken a serious mission. Our common goal is to accomplish it,” the prime minister pointed out. He then touched upon a related and much-discussed issue of visa-free regime between Russia and the EU. “The visa regime is becoming a real obstacle for our partnership,” said Putin. “And it is representatives of European business circles who are now actively raising the issue,” he added. Prime Minister Putin also said that Russia and the EU were working on projects aimed at developing specific industries. “Today, we have discussed coordinating our efforts and creating long-term programs in such areas as agriculture, auto production, shipbuilding, healthcare and pharmaceuticals. In fact, they are now being set in place,” he said. "People must be given an opportunity to choose their fate without any interference from abroad"
Answering a question on the state of negotiations regarding the new basic cooperation agreement between Russia and EU, Prime Minister Putin said that albeit there were certain disagreements between the sides, work on the document in continuing and is successful. Putin pointed out that Russia had insisted that two major conditions be observed in the new agreement, these were Russia’s entry into the WTO and also that the new agreement should be within a framework, with particular norms and conditions in different branches described in separate agreements. 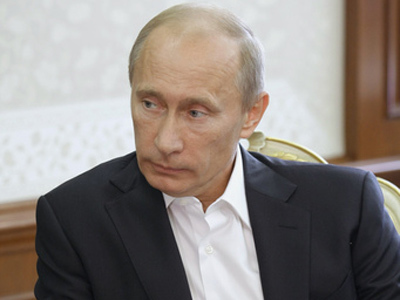 “If you want a new agreement, it must be thoroughly worked through,” Vladimir Putin said. He also reminded journalists that the old cooperation agreement is still in force and it satisfies both parties. The President of the European Commission also confirmed that there were no major problems in negotiations and said that the new agreement was important. Talking about the ongoing unrest sweeping across North African countries, Russian Prime Minister Putin said that the events in the Arab world surely are a worrying matter. Putin said that the first worrying issue was the number of casualties and the second was the possibility that radical groups could seize power in North Africa and this event would definitely affect the situation in the whole world, including the Russian region of Northern Caucasus. The head of the Russian government said that everyone must remember lessons from history, as it was the change of regime in Iran that eventually led to the current conflict over this country’s nuclear program. Additionally, it was free elections in the Palestinian National Autonomy that led to the victory of Hamas, which was immediately labeled as a terrorist group and which the world community now has to fight. 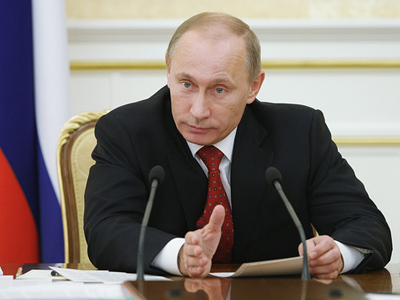 “People must be given an opportunity to choose their fate without any interference from abroad,” Vladimir Putin said. He reminded the audience that all countries have different conditions and patterns should not be copied from one nation to another, however convenient they might be. The Russian Prime Minister said that the developments in North Africa could have negative consequences all over the world, including Europe, and this was something to worry about. Answering a question on the possible impact of the North Africa uprisings on the Russian and international economy, Vladimir Putin said that this effect was already being felt in the form of rising oil prices. He added that Russia was not interested in endlessly rising commodities prices as the country planned to develop its manufacturing sector, which is difficult in an economic crisis. The Russian prime minister also said that risks and concerns would be eased, if the two Russia-European energy transport projects, North Stream and South Stream, were already in operation, then energy prices would be lower. However, Putin noted that the so-called third energy package was not acceptable for Russia as it plainly resembled confiscation of property. Besides, this project could lead to a spike in energy prices which is not acceptable for European enterprises, other than those in the energy sector. However, Putin said that work on the document was continuing and a solution would eventually be found. Vladimir Putin stressed that economic cooperation should not be politicized and similarly, it should not have any “ideological underpinning”. However, he noted, because of unrest in Libya, it is currently impossible to develop any Russian-Italian projects. "We understand that there are no real conditions today for these plans, which Russian and Italian partners had outlined for joint operations on the Libyan market," he said, adding that Russia was evacuating its citizens from the North African country. He said with regret that the partners were ready to invest in joint operations and introduce technology, but events show that now is not the proper time. A decision will be made later, once the situation in the region settles down. Earlier in February, Gazprom signed up to join the Elephant oilfield project in Libya in a production sharing agreement with Italy’s Eni. The Russian gas giant was to get 33.3 %, or half of Eni's stake, in the 163-million-dollar project.